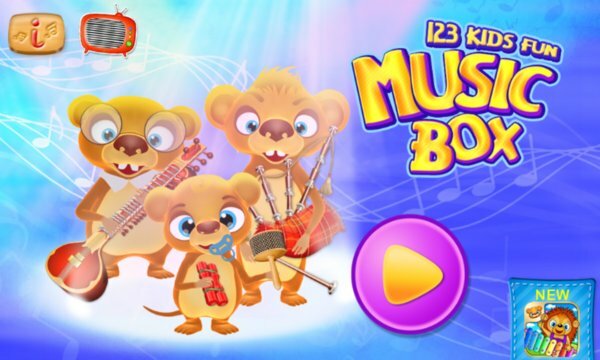 123 Kids Fun MUSIC BOX - Free Educational Music Game - Beautiful and simple music application for toddlers and preschool kids, which inspires and encourages kids to create own music. Great introduction to explore the world of music and sounds. 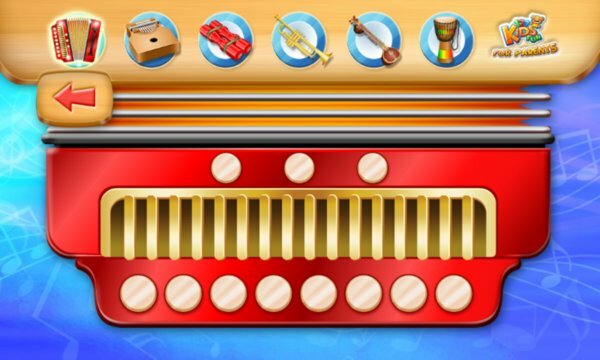 Accordion, Trumpet, Kalimba, Bagpipes, Steel Pan, Clarinet, Tubular Bells, Sitar, Temple Blocks, Cello, Claves, Bass Guitar, Shaker, Erhu, Cabasa, Dulcimer, Xylophone, Cowbell, Cajón, Agogo, Djembe, Flute, Udu, Samba Whistle, Conga, Darabuka. The application features activities that foster children’s creativity, motor skills, and appreciation of sounds and music. App was extensively tested with preschool children to ensure its design is as simple as possible and children can explore the application independently. We hope your kids will love it!